While lots of thought goes into the planning of a wedding reception, the ceremony can be tricky to figure out as well. After all, it’s the most important part of your big day – when you actually get married. 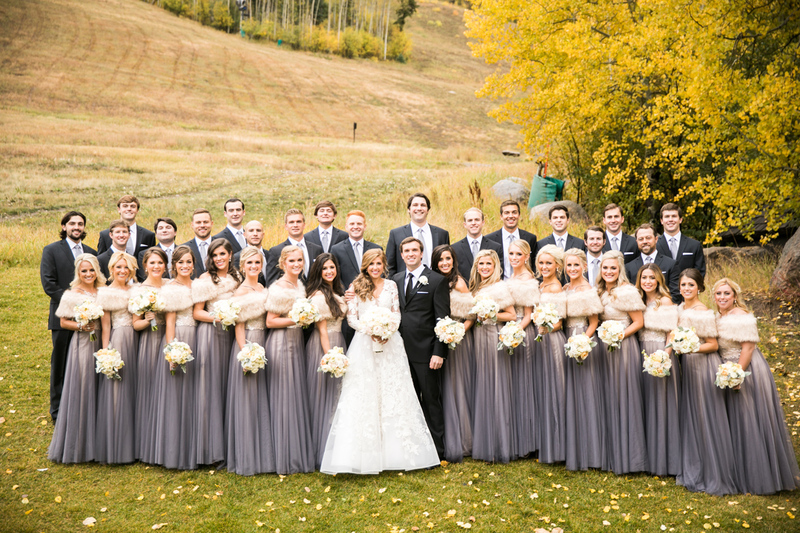 One of the toughest parts can be figuring out what order your bridal party should walk in and stand beside you. This decision not only relates to aesthetics, but can also affect personal feelings. The more bridesmaids or groomsmen you have, the more complicated this can be. There is no right answer for how to order the processional of your attendants, as it can really depend on your specific group and situation. However, there are a few options that you can choose from based on what fits best with your bridal party. While this may be thought of as the more expected way to organize bridesmaids and groomsmen, it can definitely cause hurt feelings if one of your attendants feel their place in the lineup doesn’t match how close they thought you were. It does often feel right though, especially since a maid of honor or best man will usually be standing closest to you anyway. This is usually a safer option for smaller wedding parties, as it’s easy for a friend to understand your sisters are closer than it is for a friend to realize she’s only the 12th most important woman in your life. Usually this works out to be organizing everyone by relationship while appearing to be a more objective ranking system. It can be a good plan if each attendant is from a different stage in your life (i.e. elementary school, high school, college, work, etc. ), but may not be as effective if you met all of your bridesmaids the same year. This has the benefit of both being an objective way to order everyone while also being aesthetically pleasing. While you can always leave the honor attendants out of this ranking, it is certainly convenient if your maid of honor happens to be either the tallest or shortest of your group. As with height, this option will look objective and not like you are favoring one bridesmaid over the other. It also won’t make it seem like you are overly concerned with the aesthetic appeal of your bridal party – if that is something you are concerned about. For more wedding tips and advice, learn how to pick the music for your ceremony and discover alternatives to standard seating arrangements.